Scanning Botswana’s remote Linyanti swamp from the low flying chopper, elephant ecologist Mike Chase can’t hide the anxiety and dread as he sees what he has seen too many times before. “I don’t think anybody in the world has seen the number of dead elephants that I’ve seen over the last two years,” he says. From above, we spot an elephant lying on its side in the cracked river mud. From a distance it could be mistaken for a resting animal. But the acrid stench of death hits us before we even land. Up close, it is a horror. 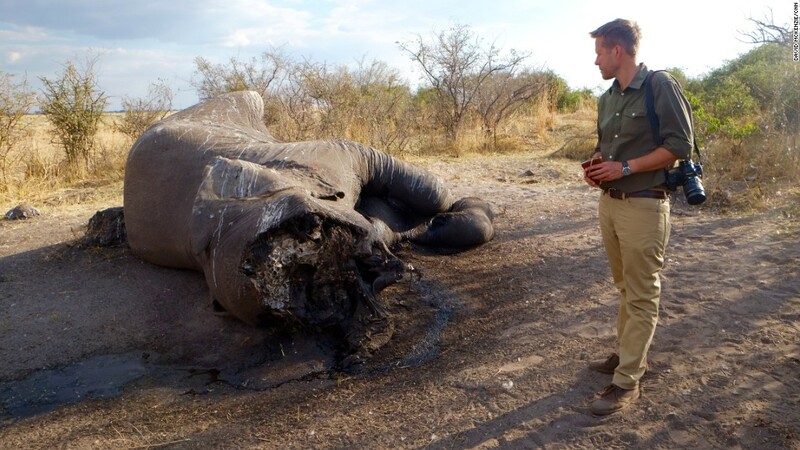 Elephant ecologist Mike Chase examines an elephant whose face was hacked off by poachers in Botswana. He was a magnificent bull right in his prime, 45 to 50 years old. To get at his prized ivory tusks, poachers hacked off his face. 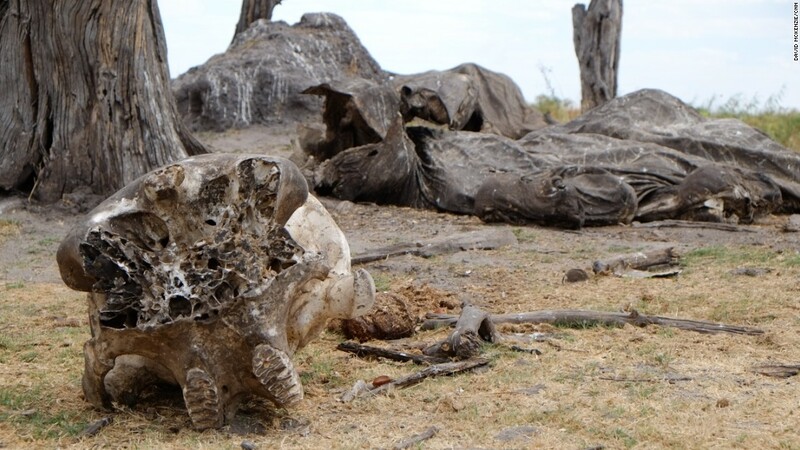 Slaughtered for their ivory, the elephants are left to rot, their carcasses dotting the dry riverbed; in just two days, we counted the remains of more than 20 elephants in a small area. Visitors and managers at the tourist camps here are frequently alarmed by the sound of gunshots nearby. 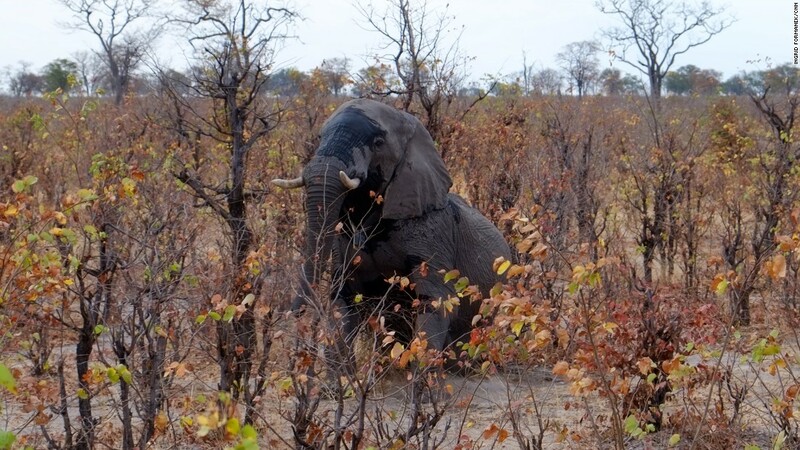 And Chase worries that if Botswana can’t protect its elephants, there’s little hope for the species as a whole. Chase, the founder of Elephants Without Borders (EWB), is the lead scientist of the Great Elephant Census, (GEC) an ambitious project to count all of Africa’s savannah elephants — from the air. 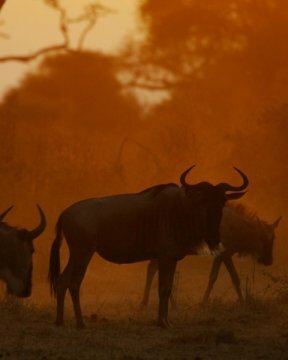 According to the GEC, released Thursday in the open-access journal PeerJ, Africa’s savannah elephant population has been devastated, with just 352,271 animals in the countries surveyed — far lower than previous estimates. Three countries with significant elephant populations were not included in the study. Namibia did not release figures to the GEC, and surveys in South Sudan and the Central African Republic were postponed due to armed conflict. In seven years between 2007 and 2014, numbers plummeted by at least 30%, or 144,000 elephants. 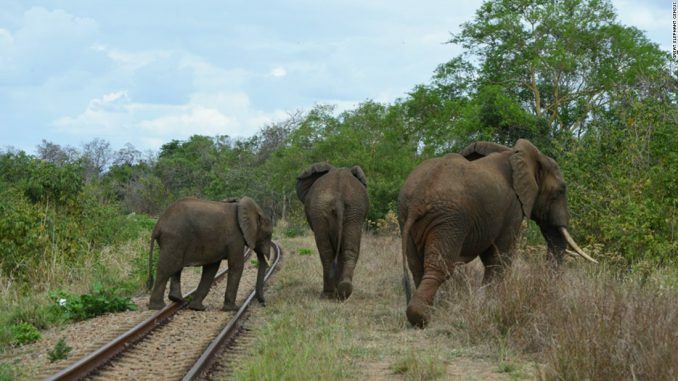 In the Selous Game Reserve in Tanzania, and Mozambique’s Niassa Reserve, elephant populations have plummeted by more than 75% in the past ten years as poachers cut down family herds, according to the survey. 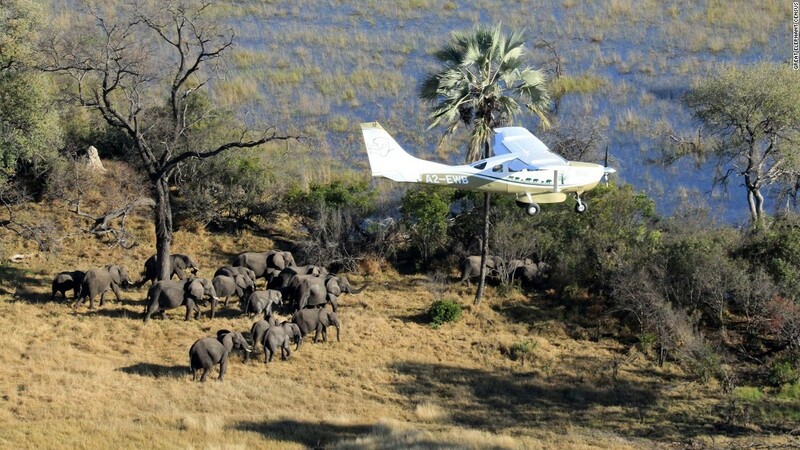 A survey plane spots a herd of elephants in Botswana. The current rate of species decline is 8%, meaning that elephant numbers could halve to 160,000 in nine years if nothing changes, according to the survey — and localized extinction is almost certain. Chase and other scientists feared they were in a race against time, which is where the Great Elephant Census came in. Small workhorse planes like the Cessna 206 were transformed into viewing platforms, using frames made up of rods — in some cases telescopic golf ball retrievers — fixed to the wing struts. A bull elephant killed by poachers on the border of Botswana and Namibia, its face hacked off for its valuable ivory tusks. 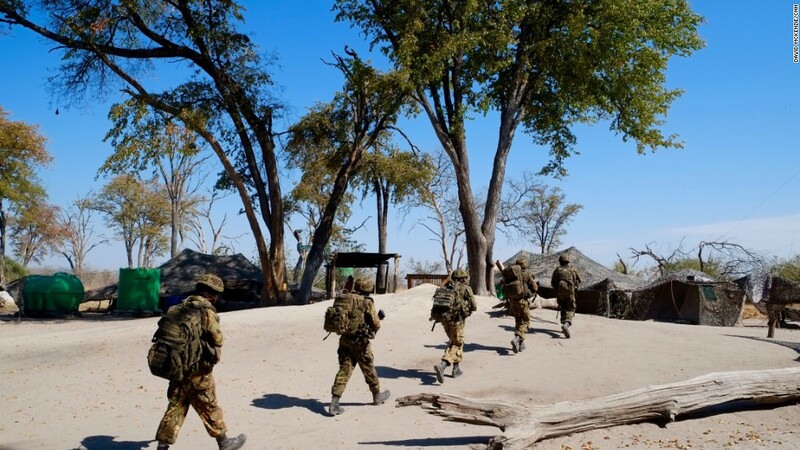 Botswana Defense Force troops patrol near the Linyanti. Despite their “shoot-to-kill” policy, troops are hampered by national borders they cannot cross. 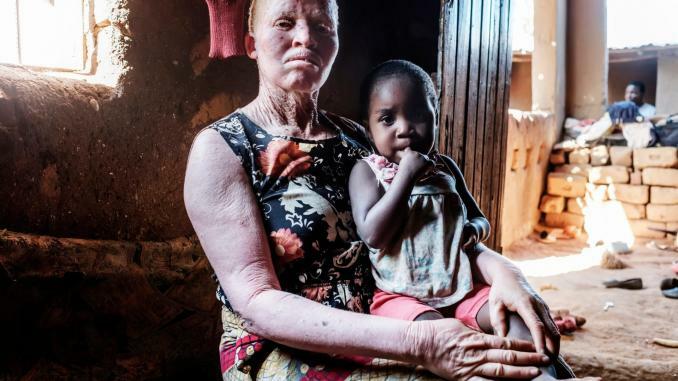 Though poachers are often foreigners, Seelo says their deadly work is supported by locals, who help coordinate the teams, bury water and food, and mark the spots with GPS tags. 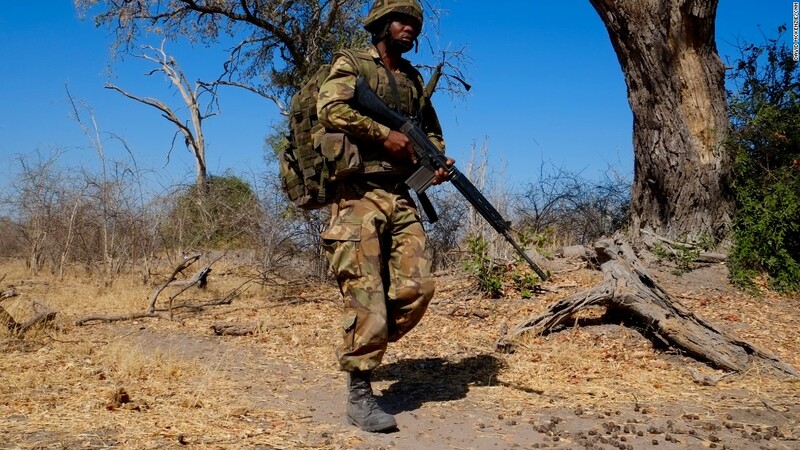 And every poaching team has at least one or two shooters; BDF officers say they’re often ex-Zambian special forces, equipped with high caliber weapons. 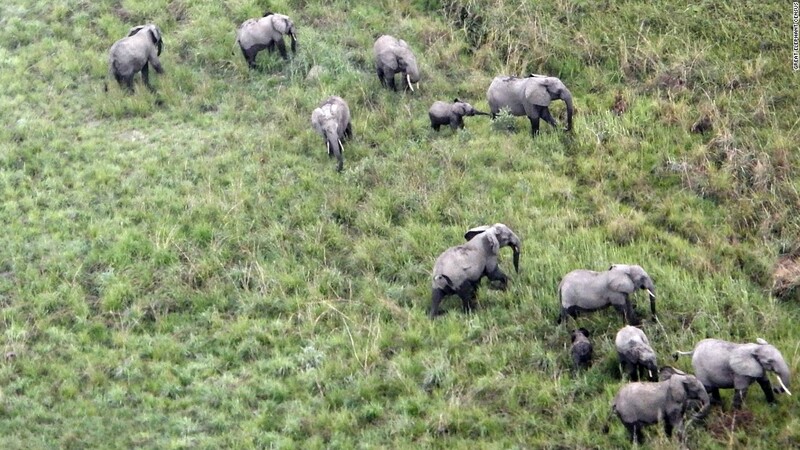 A herd of elephants as seen from a survey plane flying overhead. 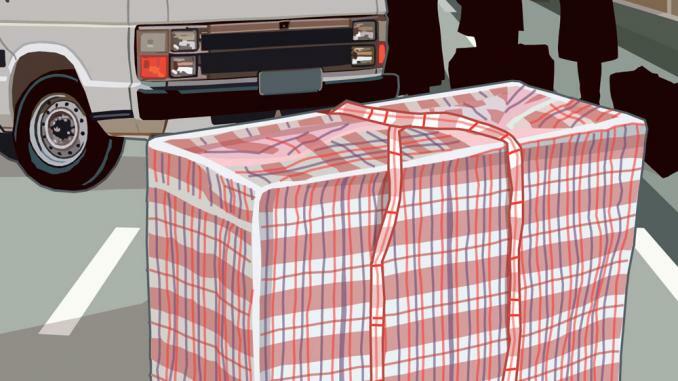 But many poachers across Africa are less sophisticated, emptying out the entire magazine of an AK-47 to pierce an elephant’s tough hide, using poison-tipped spears, spiked traps and snares, or poisoning water holes. In Angola, poachers even use grenades and mortars left over from the war to kill the animals. 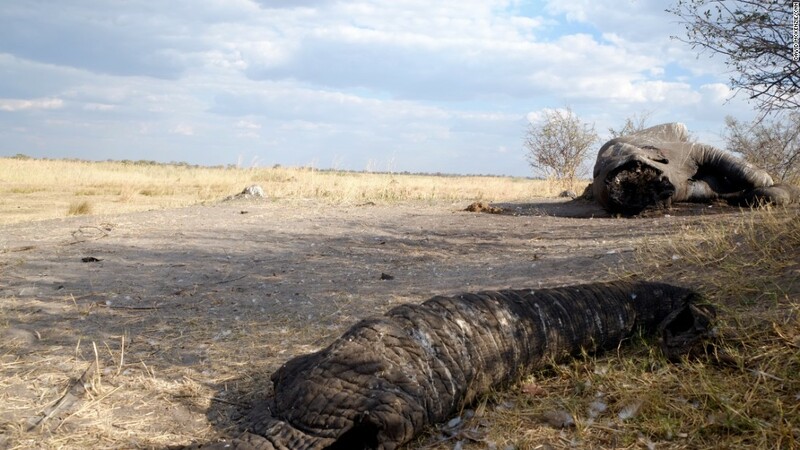 The remains of an elephant carcass on the border of Botswana and Namibia. Despite the poachers’ desire to make a quick buck, elephants are actually far more valuable alive than dead. Every elephant killed will earn a poacher just a few hundred dollars — the overwhelming majority of the tens of thousands of dollars its ivory fetches on the black market go to middlemen and organized crime gangs. By contrast, a live elephant can earn more than a million dollars for communities involved in eco-tourism, according to a report from The David Sheldrick Wildlife Trust. 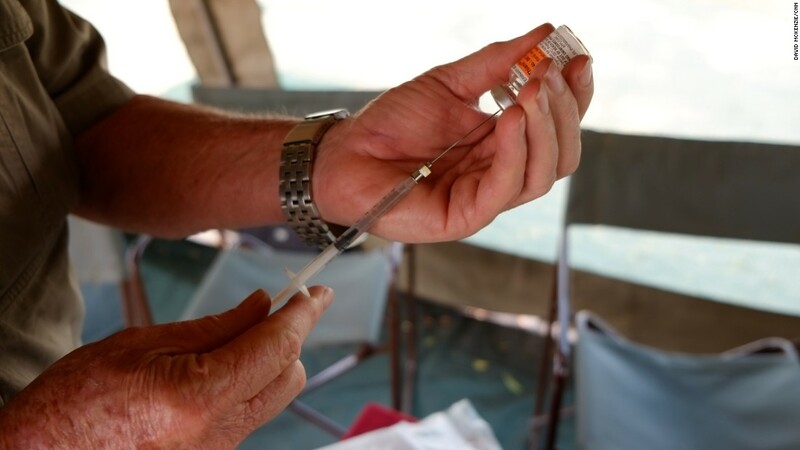 Veterinarian Larry Patterson prepares tranquilizer for an elephant collaring. Larry Patterson carefully draws 14 milligrams of Thianil into a syringe, then inserts it into a long-range dart. Even a tiny drop of the morphine derivative can kill a human, so the antidote is always close by. Moments after being shot with the drug-tipped dart by the semi-retired veterinarian, a bull elephant snores loudly. “These are emblematic creatures of the African continent, they are symbols of Africa, symbols of freedom,” says Chase. Promise the elephant comes to after being tranquilized. Chase and Patterson thread a tracking collar around the animal’s massive neck, fixing it with four bolts and a lead ballast. We have to work quickly; the bull can’t support his six-ton weight in the sedated position for long. Before it wakes, Chase asks us to name the elephants. We call him Promise, for the hope — the promise, however faint — that this creature’s future can be secured.